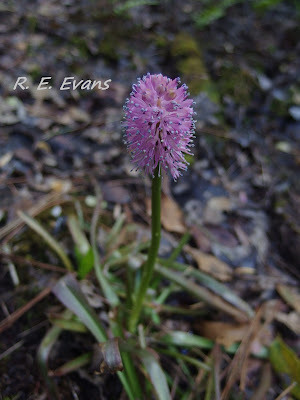 "Few of our early spring flowers are more attractive or universally sought after by those who know it, than the "Swamp Pink"" said Stewardson Brown (Bartonia, 1910). Some seek them in the wet woods as I was lucky to do recently, but Brown indicated, "there are many people, however, who are familiar with and appreciative of its beauties, and equally keen to get it each spring, but who never saw and probably have no desire to see Helonias growing in its natural surroundings, but prefer to do their hunting along the curbs of Market Street" where plants .... were sold along the street each market day" (for a more thorough & colorful account, please read his original note which can be accessed online). Swamp Pink (Helonias bullata) was federally listed as a threatened species in 1988. It is unclear whether or not over-collection was a factor in this listing decision. 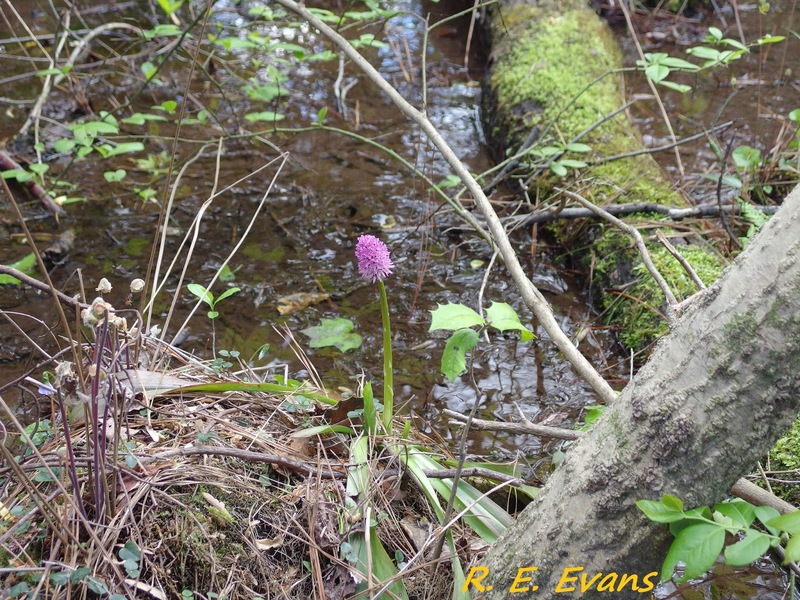 Brown's 1910 account certainly described both flower removals (thereby reducing seed production) and "clumps of roots offered also, a thing to be deplored in so rare a plant". 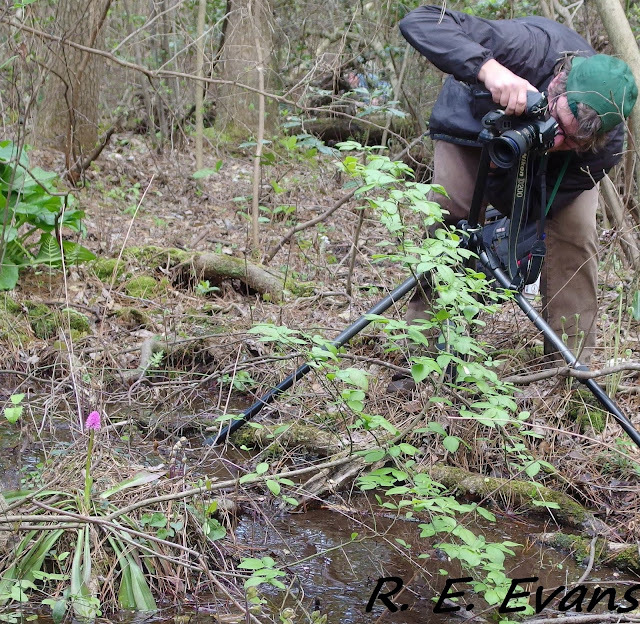 According to a recent assessment by the US Fish & Wildlife Service, "evidence of collection or trade of swamp pink as a garden plant remains patchy and anecdotal". However, several modern sources still encourage planting and trade in the threatened species. It seems clear such practices have done little to support permanent conservation and recovery of the species in its natural habitat. 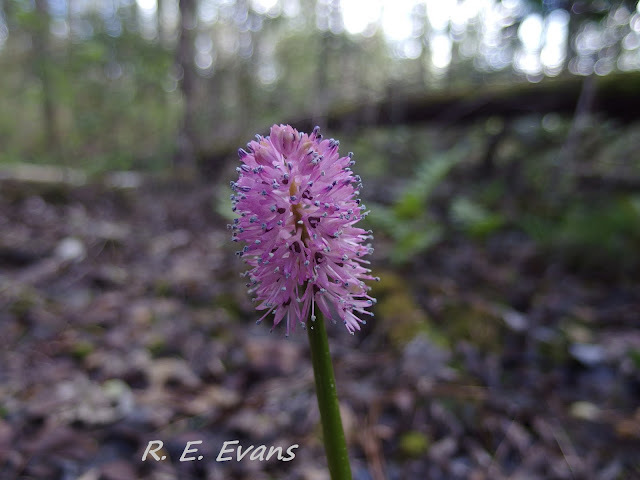 Remaining natural Helonias populations are documented in widely separated regions from the New Jersey Pine Barrens, the Inner Coastal Plain of Virginia, the Valley & Ridge of Virginia, and the Southern Appalachians, including North Carolina. The map shown below illustrates the large territory lying in between these population centers and suggests the fact that the majority of the documented populations occur in the Atlantic Coastal Plain (New Jersey is considered to be the stronghold of the species (US Fish & Wildlife Service 5-Year Review: Summary and Evaluation, New Jersey Field Office). Godt et al. (Conservation Biology, 1995) showed that Swamp Pink genetic diversity broadly corresponds with these regional population centers; Southern Appalachians being most diverse, Virginia intermediate, and New Jersey the most depauperate. As in many other species, such data suggest that the Southern Apps populations are more ancient, having persisted during glaciation, and more recently spread northward. A logical conclusion follows that these "relictual" populations have particular conservation importance, due to their greater diversity. Of course it is a mystery how Helonias could have "migrated" over such long distances post- glaciation. 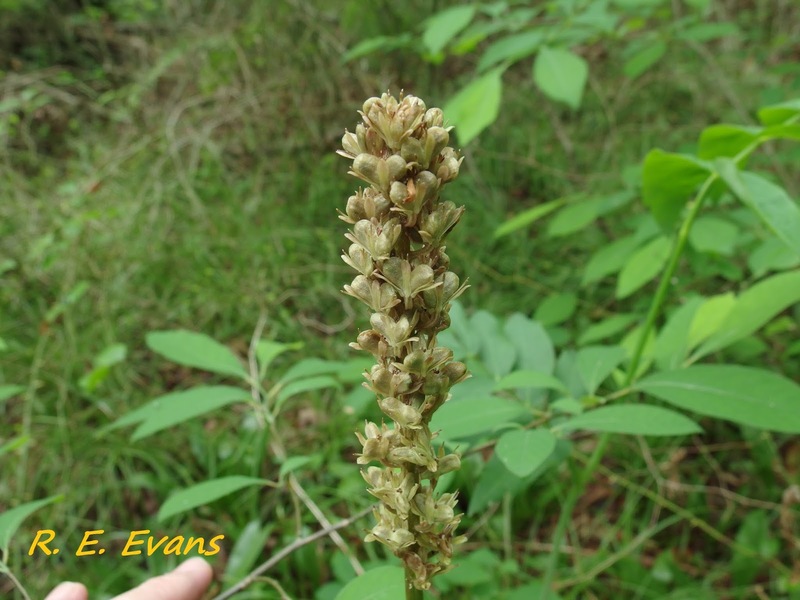 Its seeds have eliasomes (US Fish & Wildlife Service 5-year Review). These fleshy structures are believed to aid dispersal by ants (see my previous post on Sessile Trillium). How long did it take those ants to carry seeds from North Carolina to New Jersey? 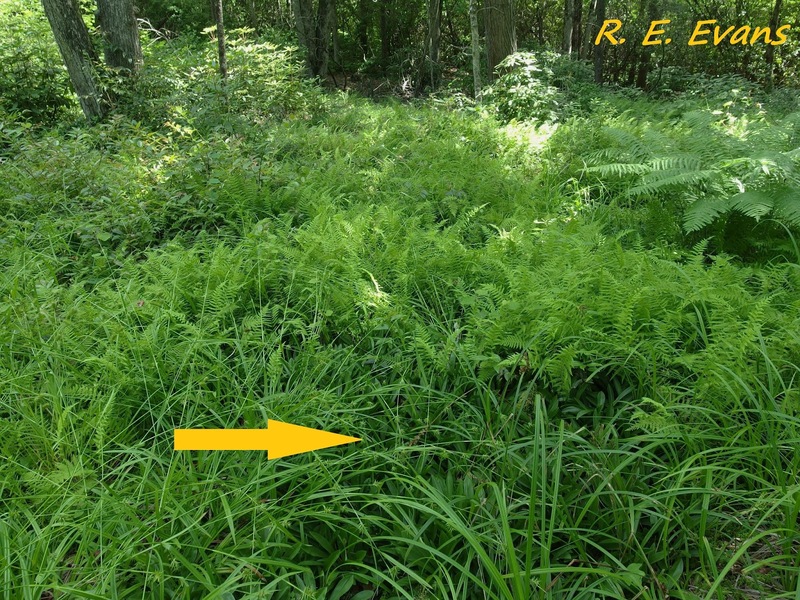 Most, but not all of the plants I have observed tend to appear highly concentrated, as expected from a species with localized seed dispersal. Another explanation is the plants are clonal, spreading rhizomatously; Sutter (Castanea 1984) believed seed production in the Southern Appalachians did little to maintain those populations. In part, this may be due to very low flower production. An 1872 note in the Bulletin of the Torrey Botanical Club (authorship unclear, at least to me) indicated, "the plant is a shy-blooming thing, only a few out of many sending up a scape, and those few being very far in between". After flowering scapes are produced, they rapidly elongate as they mature. The resulting scape may appear double or triple the length of the original inflorescence. Although few plants achieve this reproductive status, they apparently produce large numbers of seeds which drop shortly after maturing. Because seeds are short lived (US Fish & Wildlife Service Recovery Plan, 1991) localized conditions in the early spring strongly determine the likelihood of germination. Seeds falling into standing water and/or saturated condition germinate more rapidly than those dropping into dry conditions (Punsalan, unpublished thesis, 2013). 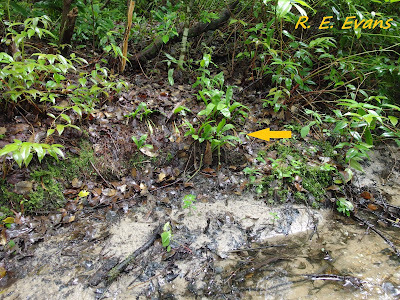 The small population (right) was found directly on an elevated bank above a shallow and narrow headwater stream in the the Southern Appalachians of North Carolina. 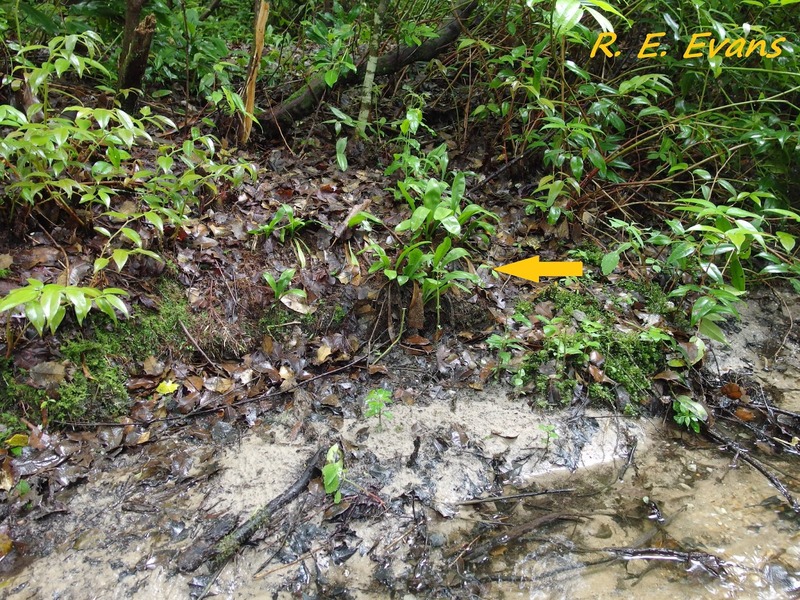 The rosettes present (yellow arrow) were found on the fairly steep bank above the normal water elevation; perhaps seeds washed in during higher water levels? A large, densely packed population (shown to the right) was found in a large, bowl shaped depression with no obvious flowing water and no surface out or inflow (Southern Appalachians of northern South Carolina). Note the shaded aspect with minimal dappling of light, and no flowering scapes present. A diffuse, widely scattered population occurred in an almost linear wetland basin or gentle valley (image right). 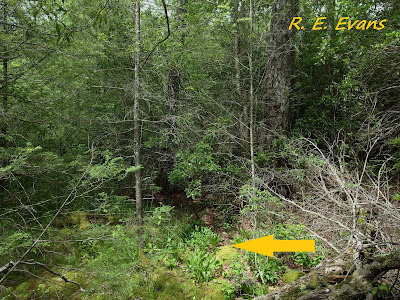 The valley is wide enough and open enough to allow significant sunlight to the ground, where sphagnum appears to dominate. This is the only of the last 3 sites with flowering stems present. 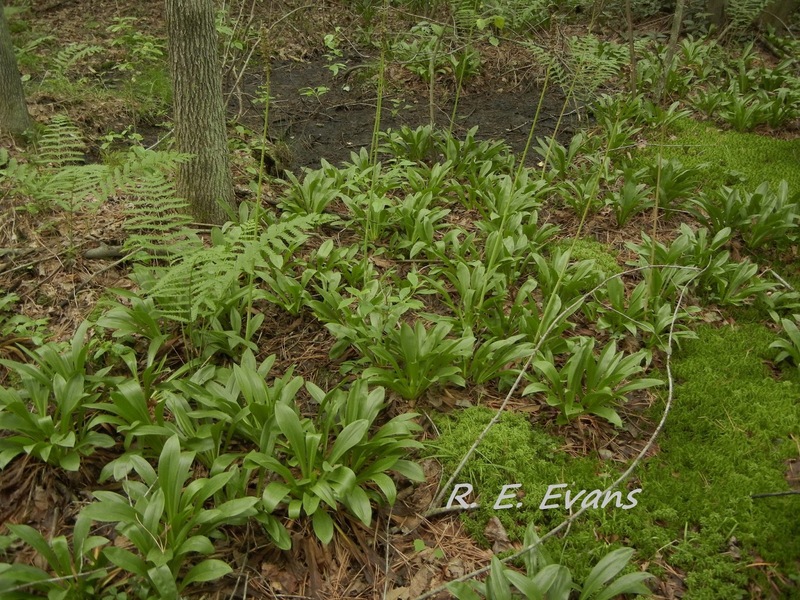 Brown (Bartonia, 1910) pointed out that enthusiasts seeking Swamp Pink, "feel amply repaid by a few heads of its fragrant flowers, even if the getting entail some scratches, with wet feet thrown in".....I agree wholeheartedly! Seek them next spring, and take the "shy-blooming thing" the right way (see below). Fabulous post! Good to see you back on the blog.